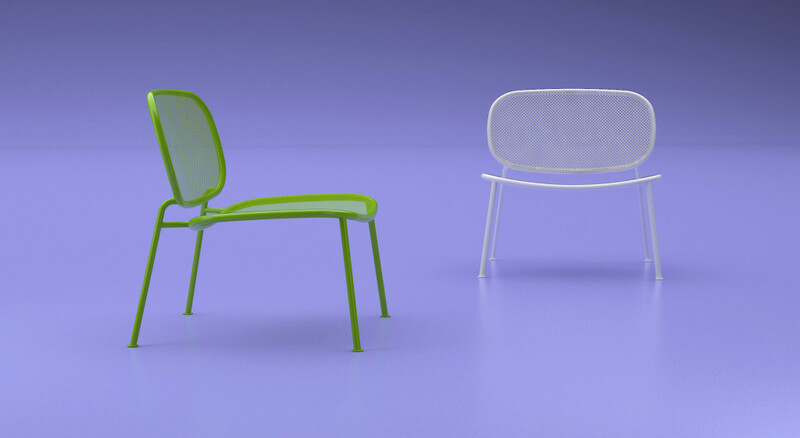 Outdoor and indoor chair. Seat and backrest formed by a stretched net. The curved tubular frame relies on the precision of new numerical control machines. The wide, comfortable and embracing backrest is the distinctive feature of Ray. Guaranteed absolute relaxation.